FLOPPYFlash replaces SLIM-26, FLAT-34, 5.25” & 8 Shugart edge connector interfaces with full height and half height frames. The FLOPPYFlash is designed as a drop in replacement to the industrial/ OEM & maintenance provider space. The FLOPPYFlash is not suitable for home/hobbyist usage. Further the FLOPPYFlash drive will replace 3.5”, 5.25” or 8” drives, both soft and hard sectored and may be set to operate at various data rates with the matching data encoding schemes, FM, MFM, or MMFM. Similarly, the emulated track configuration is programmable. The FLOPPYFlash product allows OEMs and service providers to have a quick, cost efficient solution to support their legacy system. The product’s configurable firmware allows a perfect host match, eliminating the need for any host hardware or software changes. Please click the link below to see the Solid State Disks FLASH2GUI Youtube channel. This offers a demonstration of how the proprietary FLASH2GUI software used alongside the Network FLOPPYFlash drive can offer a a bit for bit image copy of the data allowing backup & restore network capability, alternative drive select options, and also capacity and blocks select features. 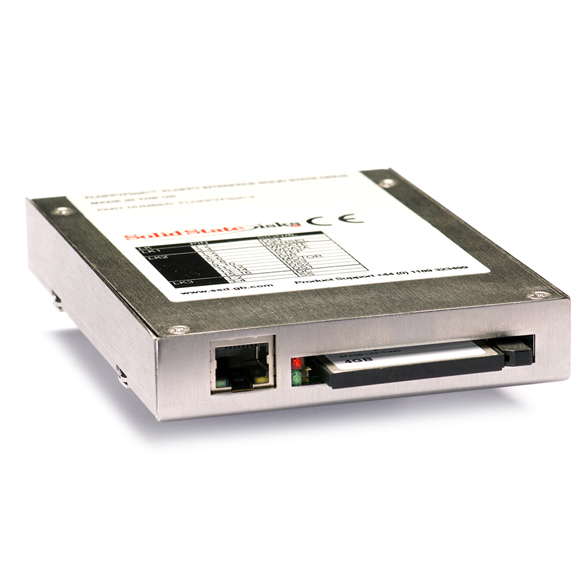 Small footprint (3.5”) allows replacement of any 3.5” floppy drive, or any larger drive with a suitable adaptor. FLOPPYFlash will fit in any standard floppy drive slot using the same fixings. 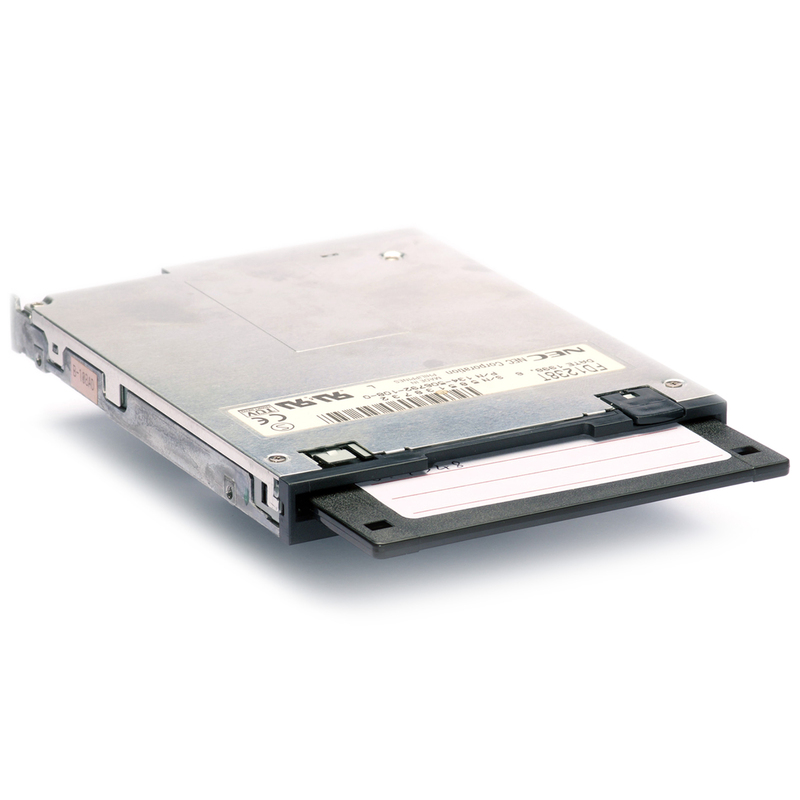 Dimensions - 3.5” Floppy form factor – 102mm (4”) wide x 147mm (5.75”) long x 25mm (1”) high. USB Port - Used for microcode load and real time diagnostics, eng setup. Floppy Interface available with SLIM-26, FLAT-34, 5.25” & 8 Shugart edge connector interfaces with full height and half height frames.